One of the biggest concerns I have in my budget each month is guilty spending. While I do a pretty good job tracking my expenses, there's always a shady area when it comes to some of my mindless spending. By the end of the month, I'm usually experiencing some guilty spending. For some people, guilty spending can involve shopping trips or using a credit card instead of cash. My weakness is spending money on coffee. On any given day, I am faced with the temptation to grab a coffee and it can be really hard to say no! Not too long ago I used to drop over $80 a month on coffee each month. Talk about experiencing feelings of guilt! After I decided to get serious about my budget, I decided to calculate how much I was spending on coffee. Let's do the math on this one. If I was spending $80 a month on coffee, that's $960 a year. That means I was spending almost $1,000 a year on something that isn't even a tangible good or that I could reuse. This was a serious wake up call! I knew it was time to reassess my spending and take action. Each month I post my monthly budget. This helps me stay accountable with my spending and track where my money is going. Before I created a monthly budget, my spending was all over the place. I didn't even realize how much money I was spending on coffee each month! Nowadays, I always put aside some money for fun spending. Instead of spending $80 a month on coffee, I have cut this amount down to less than half this amount each month. Some months I only spend a few dollars on coffee, which is amazing and means more savings! Planning ahead on purchases will help stop the guilty spending. This goes hand in hand with creating a monthly budget. By planning ahead, I am in charge of my finances and know where my money is going. When I am prepared to purchase something, I am able to avoid feelings of guilt. Using reward programs and cash back programs are a great way to stop the guilty spending. I use Ebates for nearly every purchase I make online. This year alone I have received more than $65 cash back for shopping online. I also like to use Shopkick. This is a mobile app where I receive kicks every time I'm out shopping at big box stores. My favorite part about this app is that I earn points just for walking into retail stores and no spending is required. I can cash in my kicks in for gift cards, like Starbucks and Target. Instead of grabbing that daily coffee or drink after work, put your money to work! Pay off debt, transfer it to savings or invest it. Try to track everything so you can see how much money you are saving instead of spending it on guilty purchases. 7 months of cell phone service. I could also put money towards my Roth IRA, pay a few extra payments towards my student loans or put the money in my emergency fund. Now that I'm excited to see how much I'm saving each month on coffee, I'm ready to explore how else I can save with my budget. 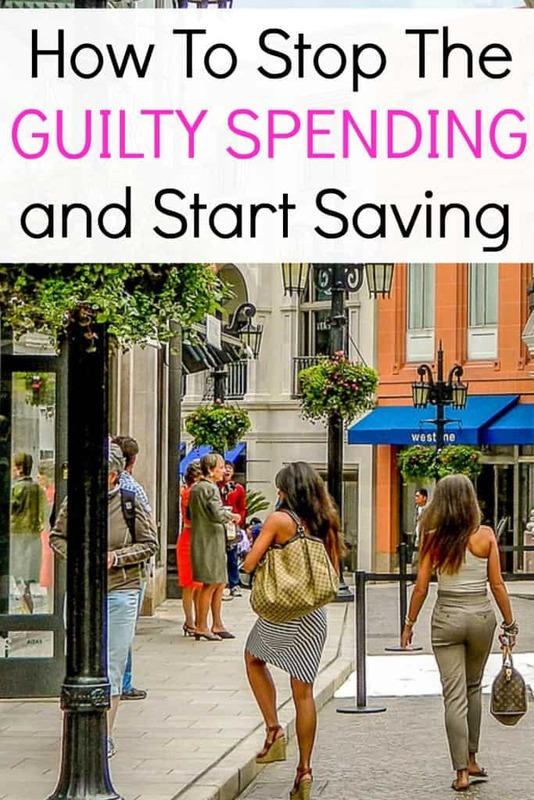 When's the last time you have experienced guilty spending? Coffee is definitely also a guilty spending habit of mine! There is something so satisfying about a delicious cup of hot coffee that you didn’t have to make. Plus, it is an “affordable” luxury. I am shocked when I see the price add up each month so now if anyone is looking for gift ideas for me, I suggest a coffee card! I can relate to coffee guilt. We’re trying to cut back at Starbucks. I appreciate my Starbucks drinks much more when they’re fewer and farther between. Our goal is to pay off our mortgage by Dec. of 2018, but we were talking and thought, “why not try to beat our goal?” All of the little efforts really do pay off. Yes! It’s really hard living in the coffee capital of the US – there’s literally a Starbucks or coffee shop on every corner. The temptation to resist is tough! I’ve been making my own pumpkin creamer lately and that’s WAY better than Starbucks, so I’m actually not tempted at all anymore. That’s my first tip for saving on food – find a way to make if yourself better! And second – I’m becoming a big believer in that if you want something, hustle hard and get it! So you spend $80/month on coffee? If that’s important to you and you don’t want to give it up, find a way to bring in an extra $80 per month and dedicate that money strictly to coffee. That’s what I’ve been doing lately and it works great!